Are you wrestling with the complexity of different types of performance management in your organisation? You are not alone – many are. To understand why and to improve how performance is managed in your organisation, it helps to understand which management problems you are trying to solve and the complex mix of different types of performance management approach that exist. The various types of performance management solve different problems. Five common problems with performance management thinking. Three big dangers of ignoring the complexity of performance management. Eleven contrasting views of performance management that will help you appreciate the variety of types of performance management. Each of the contrasting views includes a real client example that we have encountered and helped to fix. There are many out there who take a very simplistic approach to performance management. 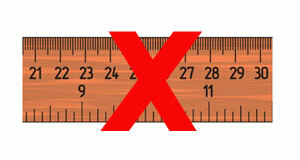 They assume performance management is about measures, targets and KPIs. (It is not) That it is a simple, closed-loop, feedback model. (Too simplistic). They believe that basic collections of measures and targets on scorecards are adequate. (Only in some cases). You and I both know this is far too simplistic (and the cause of many performance management problems in organisations). 2) Organisations are far more complex than mere measures and targets. If it were that simple, that measures and targets were enough, then we could manage organisations and make all decisions with computers. We know that is a nonsense. Instead we need experienced, intelligent, sensible Human Beings that use evidence and exercise judgement. People and organisations are far more complex to manage than mere measures and targets. 3) We must remember that we are dealing with Human Beings in complex social organisations. Too often we see performance management approaches designed in closed rooms, focused on simplistic models of influence and change, dealing with “normal populations” that ignore that our organisations are full of individual Human beings – real people. Our organisations are not simple organisational chart structures but complex social systems. Managing performance requires both left and right brain thinking. 4) Performance management is often seen from a technical and systems perspective. Sure, technology can help. Sure, the discipline of performance management is important. Of course, we need to understand the types of performance management system (of which there are many) and how they serve different purposes. However, those systems should support decision making conversations, behaviours and processes. Understanding the wider picture landscape of types of performance management will help us understand the type of systems that will help most, getting a clearer link between technology, systems and the financial benefits. Performance management is about the quality of conversations, thinking, decisions and learning… in a social system. In the real world, performance is managed using a combination of ways of thinking and working. There are demands from a large variety of sources with quite different reasons for looking at performance. So, we need a rich full picture of these different ways and how they fit together, to manage performance overall. We need a clearer view of the different types of performance management and how they work as a set. That is what this article sets out to do. The benefits of understanding the different types of performance management? There are some very good reasons to understand the differing types of performance management in use in an organisation: Any attempt to change just one part, alone, will be doomed to failure. And you don’t want to waste your time, money and effort do you? What happens if you ignore the complexity? Basically, if you ignore the real world complexity, it will come back and bite you…. You won’t improve performance. Given the whole point of performance management is to improve performance, if you mess up the system it will make performance worse. At worse you will have wasted your time, and other peoples. You set yourself (or others) up for failure: Try it without the wider picture and you will clash against the existing practices, norms, behaviours, expectations and culture. If you try to make changes to how performance is managed, (perhaps you are implementing a balanced scorecard) and do not understand the wider picture of how performance is being managed in the organisation, you are setting yourself up for failure. You will make performance management even more confusing or difficult. In one example we encountered recently the client had entangled two “methodologies” with our realising that they were closely related and overlapped in what they managed. The result: difficulty communicating and managing performance, and confused operational people. We are sure you have seen examples where unintended consequences from good intentions. Contrasting types of Performance Management, and their implications for organisations? Here are eleven contrasting aspects of performance management, together with some short examples of how we have helped clients in these situations. How an executive team drive strategy and change through the organisation is quite different from the day to day management of operational performance. One is focused on local issues, managing exceptions and incremental improvements. The other is after significant change, longer term across the organisation. The requirements for strategic change should influence how operational performance is being managed. Many organisations operate their balanced scorecards as simple sets of operational measures in perspectives. Yet Norton & Kaplan devised the Balanced Scorecard System to manage strategy and organisational change. Both operational management and strategic change are useful but they serve quite different performance management needs, interact, and should be designed together to complement one another. An example: Boots the Chemist had enormous amounts of data on their store performance, sales, customer buying patterns and category performance, logistics and stock situations. This was not their issue. Rather the organisation was going through a strategic change, introducing new, innovative, lines of business, and introducing new channels, as well as integrating their offering in the stores. They could improve how well they aligned the organisation and stores around their strategy. Would you believe that, despite them having so many measures, we found eight new ones that they should monitor, amongst the 22 in their new corporate strategy map & scorecard. How individuals (or teams) are incentivised, developed and managed is often left to the HR performance management system, yet this is a major influence on operational performance and strategic change. Change how people are developed and managed, and you change how the organisation is managed. It seems easy to manage operations and teams yet the changes here can clash with the individual appraisal, development and reward systems. Beware of tackling any aspect in isolation. An example: The National Trust wanted to improve how it delegated responsibility and accountability to its Property Managers to improve both visitor experiences and income. Whilst running our diagnostic tool across the whole management systems, we uncovered some parts of their organisational planning and financial approach that clashed with the intention of having ambitions stretch targets for these key managers. Together with a team of client staff we identified a set of improvements that addressed, not just individual performance objective setting and incentives, but the wider management system in which they operated. These led to changes in both systems that helped to free up the Property Directors, and their teams, to perform better. Sometimes we make assumptions about how we should manage performance, without looking at the impact of those assumptions, or their unintended consequences. An example: The Student Accommodation provider, Unite used external contractors to build their accommodation, using modules that were built in a factory owned by a Unite subsidiary.It turned out that the way the original build was funded demanded a contractual arrangement that typically increased the construction costs of each building by an additional £1-2m (A substantial amount when several buildings were being built a year). It was assumed this contract could not be changed. We questioned whether such arrangements could actually be changed, and eventually new funding contracts were eventually introduced. These both saved money and allowed further cost reductions through the use of alternative contracting arrangements. This was only possible by questioning what governed how they managed. Sometimes you have to question what you assume about how you are managed. 4) External Governance vs internal performance management. How you report externally is quite different from the tools for managing performance internally. (The information should of course be the same: I am talking about the method and teh sub-set of that data). Externally a much narrower subset of information is reported, though there are exceptions where regulation is concerned. Internally a wider set of information is needed to manage the drivers of performance rather than merely the consequences of those actions. What is needed externally is not adequate to manage internally. Recognise that different stakeholders have different needs. An example: Pearl Assurance needed to ensure that it managed its outsourced customer service operations appropriately, whilst demonstrating that it treated its customers fairly according to the FSA’s requirements (known as TCF). We helped them introduce a performance management approach that improved discussions, visibility and decision making for both Pearl and its outsourcing partner, whilst also demonstrating compliance to the FSA. I am told that, when the FSA say “We are satisfied with that project.”, it is the highest praise you can get from them! 5) Premature choice of performance management system. Business Intelligence systems undoubtedly help pull data together, clean that data, present information in clear views, allow analysis and potentially create insights. However, working from the opposite end it is important to think through where decisions and performance management information is compromising performance. Where opportunities are being missed. Where greater insight or collaboration could create opportunities. And to understand what skills and capabilities also need to be developed alongside the provision of information so that decisions actually lead to results. A well-known internet comparison site was looking at Business Intelligence systems to support its decision making, improve how performance was manage, and ultimately improve financial results. However they first decided to look at: 1) what drives performance and how it was influenced; 2) Which teams made those decisions that ultimately influenced performance; and 3) What those teams needed in terms of both information and a culture and discipline of performance management. As a result the organisation made a significant contribution to its profitability and choose a BI system that supported a new way of managing performance, both in terms of the discipline and thinking as well as the culture of systematic action taking and learning. Organisations go through phases of using particular methods or approaches, such as balanced scorecards, lean, quality, performance hubs. We sometimes find these are applied without a deeper knowledge of the cultural and behavioural change pieces that sit alongside them. Others unfortunately apply the approaches simplistically (for instance see all the simplistic scorecards pretending to be balanced scorecards). What is needed is an understanding of the cultural and behavioural levers behind these approaches, as well as the underlying principles they are trying to apply. An example: In one client we encountered (a large government department who shall rename nameless to protect the guilty) the strategy deployment approach from the client’s “Lean methodology” was clashing with their operational, day-to-day “balanced scorecards”. The poor people in Finance and Planning had a difficult time creating measures and KPIs, that were sensible and worked as a set. The operational people were struggling as well: they had to manage objectives and measures coming from conflicting angles. We unpacked the two methods to show where they were conflicting and where they actually over-lapped. Within an hour, the client team could see where the problems lay. By the end of they day they had set out on a path to rectify it. Clients like our understanding of the bigger picture, and our understanding of the historic context of both these approaches helped us untangle the knot they had accidentally created for themselves. The links and changes we provided meant that their performance management approach was far easier to design, implement and manage with. The Performance Managers’ role was easier. The Operational Managers task was clearer and easier. Everybody wins. How you manage across business units, or across companies within a group, is dependent upon why the group exists as a group. (It is also quite different from the management within a business unit.) Managing Directors might simply have individual P&L responsibility. Alternatively, the group might operate by looking for synergy across the group as a whole. Understanding the business model for the group is fundamental to knowing how to manage performance across the group. Anglian Water’s International Technology Group had formed through acquisitions with the objective of using the group’s synergy to support the sales and implementation of innovative water & wastewater solutions for international customers. At the early stage it was clear that different members of that new business bought different strengths to the overall business. We helped them develop an international group strategy that was reflected in each business unit, recognising that units, strengths, weaknesses and where synergy could be exploited. We developed a group strategy map, and then strategy maps for the individual businesses, based on the overall framework, The way we did this across the group facilitated their integration as a group and as one team of executives. Five years later they were still using that international group strategy map, updated to reflect how their strategy had developed. 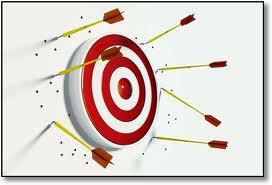 One common mistake with performance management systems is to say that every measure must have a target. We call it “Obsessive compulsive target setting” that leads to “the tyranny of targets”. Yet it can be as appropriate to merely have facts that you can examine and evaluate. Often, when making a decision, you will want to be gathering information without evaluation yet. This compulsive target setting often creates dysfunctional behaviours which can be avoided with a more practical approach to where and how targets are used. The board of a £70m social care organisation, Dimensions, wanted a clearer view of their 14 regions and how their relative performance compared. The executive team wanted their regional directors to collaborate more, learning from each other and understanding each others’ performance issues. The fourteen regions were in fact very diverse in the people they supported, the contracts they operated, and the maturity of their management and staff. One part of the solution was to provide a one-page context sheet, alongside their strategy maps and scorecards. This meant that regional directors could explain their region’s situation better and the board could more clearly and easily see, and comprehend the implications, of the differences and diversity amongst the regions. This helped board decision making and improved regional performance. It also later helped them when they acquired another, similar business as they were able to evaluate the new parts of the businesses against their existing set of regions. An organisation approaching performance management with a mind-set of “We need to get a grip on what is going on”, is primarily interested in control. This mind-set is quite different from an approach that seeks to empower the front-line staff: an approach that says, “We want this information to be useful to the people who produce it, otherwise why would we want it?” Imagine a situation where you look at performance combined with an analysis of the situations and actions that were already being taken. You are no longer asking, “How do I manage this performance?”, but rather, “Is this performance being managed appropriately?” Quite a different mind-set. The executive team of a software company (that we shall keep anonymous) found that their staff were not making project progress and costs as transparent as they ought to be. Instead of applying a big stick, and accusing the project managers of “being unprofessional” we changed the message to “demonstrating your professionalism” and emphasised that it was their role to check and use the project information. This was communicated alongside other signals that demonstrated that management were serious about changing behaviours. Altogether, this shifted the project managers’ behaviours, helped them to manage better, made projects much more transparent for the executive and customers, and improved the reliability of project delivery. How much improvement did we make? Substantial, but we’ll never know how much as there was no proper baseline of project information to work from. However the staff and management could definitely tell the difference. Neuroscientists say that purely fact based decision making is a myth – in fact we are always using emotion and judgement, often backed up with evidence. In reality we employ experienced people and give them information with which to make decisions, establish whether it made a difference, and improve their judgement. Judgement and evidence work together, when we manage performance, despite what the sellers of analytical software believe. In the Social Care organisation, Dimensions we helped regional directors, and their team, improve the visibility of facts and information about their regions and also develop their judgement, and the judgement and decision making of their teams. The Management team of Unite Modular Solutions wanted the managers in sales, product design, manufacturing and installation to work more closely together: to create a more integrated design & manufacturing process. The way we implemented strategy maps and scorecards through the organisation enabled the executive team to step back and coach their managers to take more responsibility, have the facts to see the whole picture, improve conversations and develop their ability to work as an integrated team. This freed up the executive team to work more strategically on the business and on business development. We know that measures and scorecards and targets are not the whole picture. Consider the messages that managers give out, the permission they give, the subtle communication of what is important and what they pay attention to. 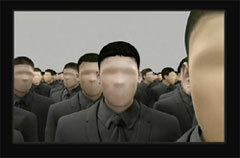 Consider how performance is discussed, the latitude people have, what limits they have on their behaviours. Consider the autonomous units and the ones under tight control. Consider the conversations that occur and those that do not. 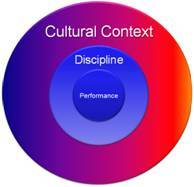 These cultural elements exert far more influence over behaviours than mere measures or targets. The scorecards, measures, reports, and basic conversations represent the discipline of performance: yet it is the culture of performance that really makes the difference. The executive team of Peterborough City Council met weekly and discussed their own areas of work. It was no surprise that the Chief Executive was frustrated that the organisation was not joined up and felt difficult to influence and change. By changing the strategic agenda, altering how meeting agendas were set and linking the directors with shared objectives we started to break down the silo thinking and working at the top of the organisation, that soon started to ripple down through the organisation. As one of the Directors’ put it, “We have never had a project create so much change in only 6 months, it has been terrific”. These are just a few examples of how we have helped organisations improve how they manage strategy & performance, through their people, to get results. Get in touch to find out more. How we manage our various types of performance management should improve our bottom line. Good performance management should empower and inform people so they can make better decisions: decision that make a difference to performance and results. Ultimately for your customers and a financial difference. Poor, excessive or simplistic performance management costs organisations money: In the worst cases creating dysfunctional behaviour; in other cases with managers spending excessive time managing decisions that others could take, and missing the opportunity to take the wider picture. Effective management of strategy and strategic performance management, ensures we bring about change and improvement, and ensure we do the right things, in the right way, for the right reasons. Ultimately you can create a more responsive and agile organisation:one that avoids being caught when the outside world changes; one that can learn and respond more effectively when you do need to change. We use this knowledge in our diagnosis when we engage with clients. We find that using our diagnostic provokes deeper thinking about how performance is really being managed and encourages a richer discussion that has happened previously; a discussion that opens up issues about governance, strategy and how performance is managed as a whole. We offer diagnostic services, training and briefings on the approach. So, if you want to genuinely want to improve how you manage performance and deliver results, get in touch. For Performance Management Specialists: Performance Management Briefings & Training. To explore how you might improve performance management and decision making in your organisation, Call us..